← I am a horse! 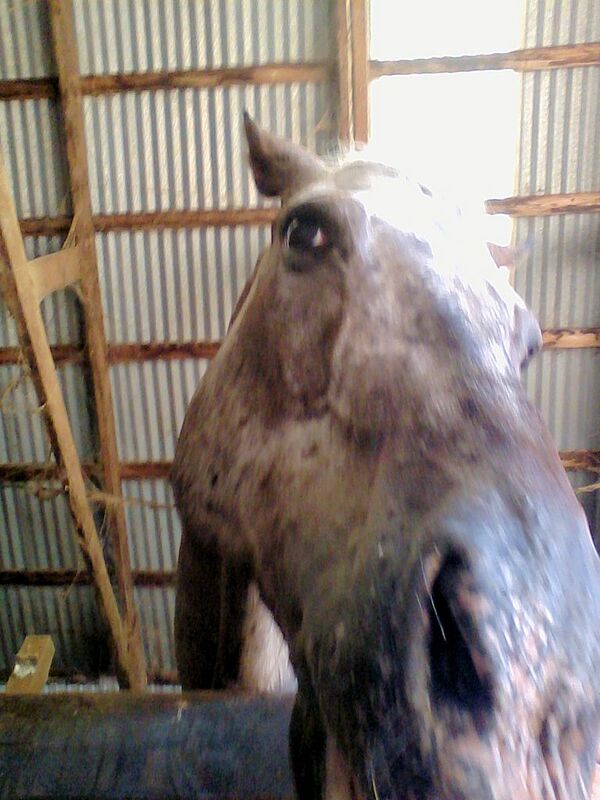 Nash is still on the layoff plan, having had sore feet, followed by a hoof abscess. The horseshoer comes in nearly two weeks, but I’m not optimistic that there will be enough hoof to put a shoe on. When he tore that shoe off, earlier this year, he really took out a chunk of wall. I would have been willing to keep him barefoot, but for the fact that one silly play session in the arena left him sorefooted for a couple of weeks. 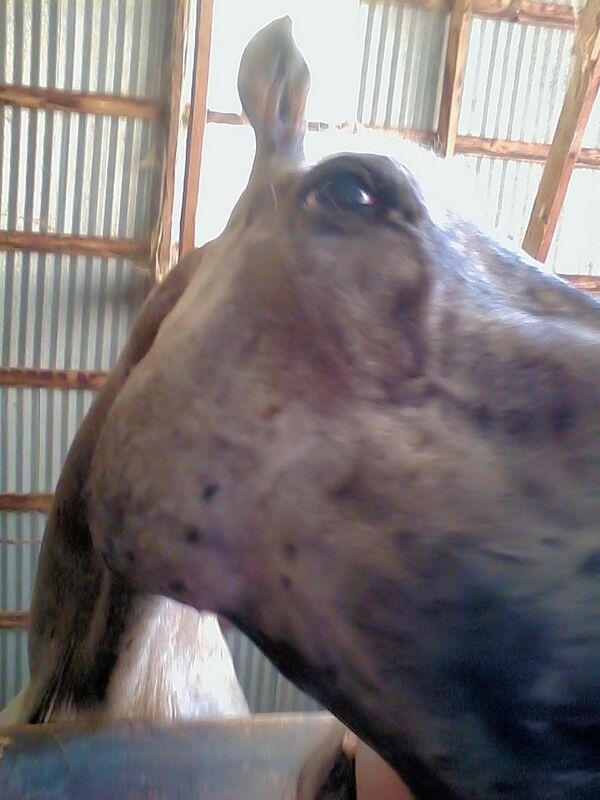 We’ve been trying to keep him amused, in the absence of real work … so this weekend I let him try his hoof with selfies! Hard to fit that long nose in there! On a more serious note, I made a slightly shocking discovery last night. While taking Nash in for dinner, I noticed something odd about his right eye. I could see what looked like strands of white fluffy down floating in the area of the pupil. As his head moved, these strands floated around. 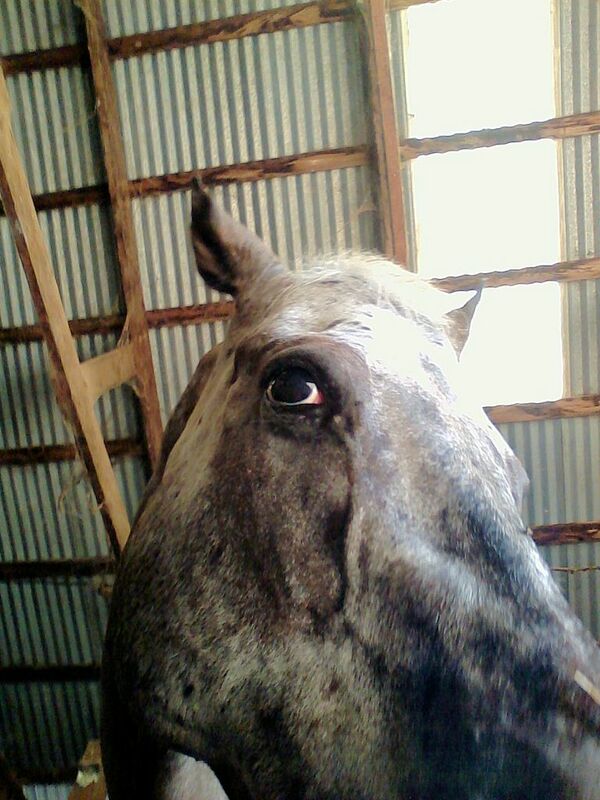 In the process of looking at these odd strands, I discovered that he has no vision in his right eye. I suspected that his vision was not good, but there was no reaction of any kind as I shined a light into his eye. 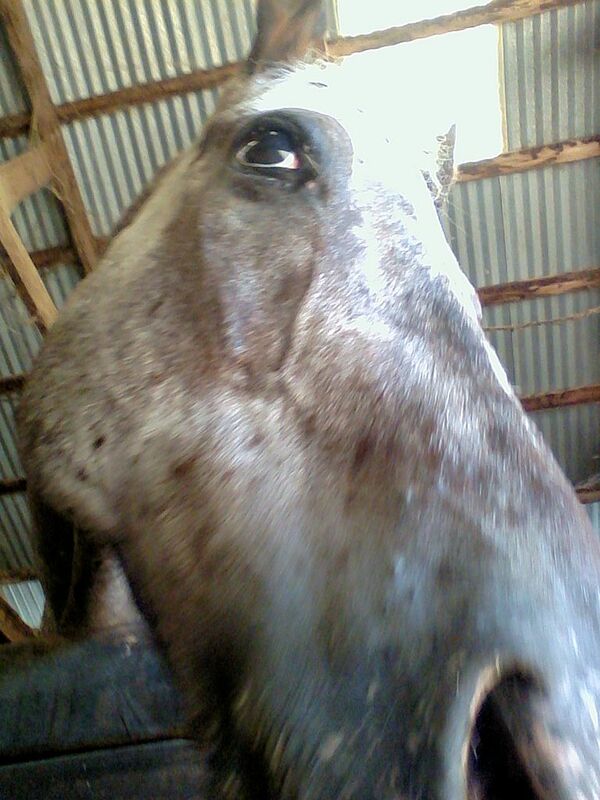 So, now we’re trying to arrange an appointment with an equine ophthalmologist. Will update when I get an answer. This entry was posted in Just For Fun, My Journey and tagged blind, eye disease, layoff, Nash, selfies, sore feet. Bookmark the permalink.